Aerospace agencies handle data that needs to be protected from competitors and foreign military and government organizations. Competitive sensitivities, disparate customer requirements, and government regulations concerning the sharing of intellectual property are critical considerations in the aerospace marketplace. 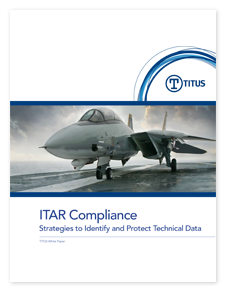 This whitepaper will focus on strategies to meet ITAR requirements and best practices surrounding implementation of an ITAR compliance program.